Our One to One programmes are designed for people who cannot travel to one our group classes or would rather practice physical activity in an individualised setting. Our one to one programmes last 30 minutes. Can’t travel to a community class or feel you could benefit from a class designed just for you? Then our community One to One classes are just for you. Our expert trainers will travel to your home and guide you through an exercise programme tailored to meet your needs and work within your abilities. 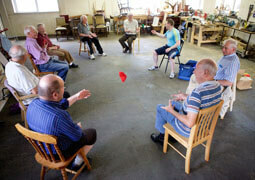 These sessions typically last 30 minutes and we encourage participation from family members or friends. To try a sample one to one class call 01 – 209 6889 or contact us. Thanks to these classes, I’m fitter now that I was before I got cancer. 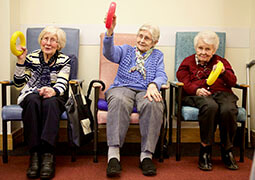 Our Nursing Home One to One programmes are designed for residents whose dependency levels are high or who may not wish to take part in a group activity programme. 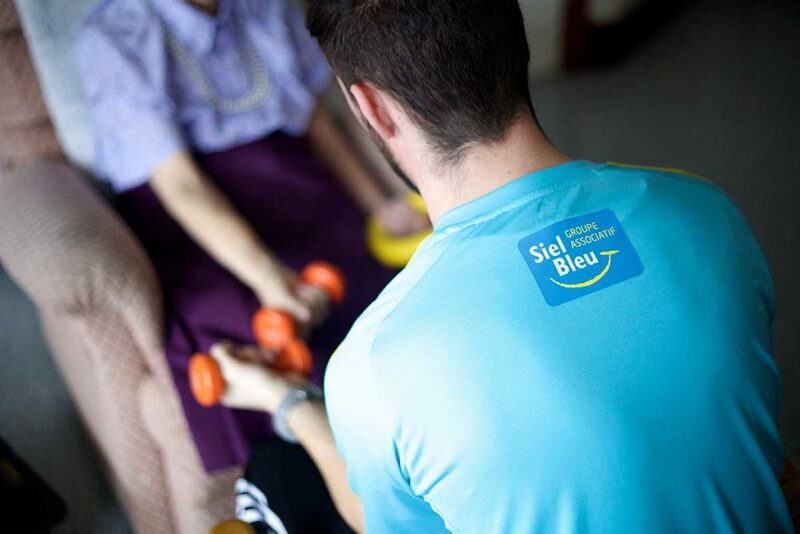 Our expert Physical Trainers will guide the resident through a tailored exercise programme, focusing on any specific areas of concern such as mobility issues, recovery from injury or illness. As with all our programmes, the trainer will work to maintain current fitness levels and help prevent any further decline. This programme is ideal for a resident with high cognitive impairment and mobility issues. To try a sample one to one class call 01 – 209 6889 or contact us.